Today is the Tech Camp Costa Rica, which will be taking place at the "Universidad Latina". The event will be mainly focused on Web Development and Design with the latests y tools and frameworks. There are a few colleagues of mine that will be presenting. 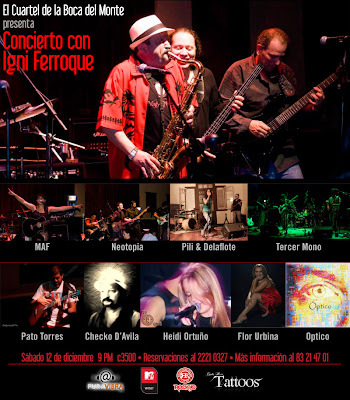 Among them, Marvin Varela, Carlos Zumbado and Karolina Hidalgo will be presenting today. 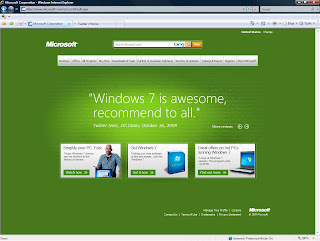 I know that Ricardo Jimenez from Microsoft Costa Rica will be also taling about Silverlight and the Expression Suit. It seems that the event will be full and fun, and it's great to see people going beyond what the local market is doing and pushing professionals and students to learn new technologies and new techniques for next generation web applications. I was recently visiting Corey Schuman's blog since he has been focusing on Silverlight + Blend development for a while now. Among his posts I found his Blend section which contains information about behaviors and how to include a recommended Physics Library for Silverlight that allows you to create Physics behaviors by using mostly Blend. I actually went ahead and watched the "Basics" video and I got so excited about how easy it seemed to play with it that I downloaded and installed the Physics Helper library and started to play with it right away. I can't tell how fun and easy is to start playing with it and actually create something. I'm sure that in order to build useful and more complex stuff you will need to dig deeper and get into the C# code, but I believe the library helps a lot and gives to many tools to start with. In the CodePlex site for the Physics Helper library you will find information, installation instructions and a few videos that will help you to start playing and building things right away. Thanks to Corey for the information and I hope you jump right away into Silverlight Physics behaviors after reading this. I was visiting one of my colleague’s blog, Pablo Viquez and I found a video about a Tech Summit that Schematic did some time ago. The video is a cool window on how we work and how we achieve compelling cutting edge interactive applications. I'm also on the video and I talk a little about how Schematic integrated and share knowledge among different teams, platforms and offices. I wanted to post the video here and have it as a reference for the future and of course, share it with the people outside. Just wanted to post and share another video about the Schematic Touch Wall that was featured at the Cannes Festival this year. The Schematic Touch Wall is the biggest, most complete Out Of Home Digital Experience ever built, providing massive Multi-Touch Multi-User capabilities, and I'm very proud to have been on of the team members that made it a reality. Behind the scenes of the Schematic multi-touch wall from Serge Jespers on Vimeo. This is a post that I should have published a while ago. The reason I'm doing it now is mostly to keep track of the project and the work I did on this amazing project. 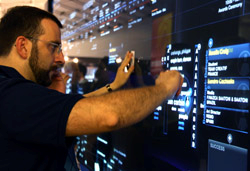 The Schematic Touch Wall was actually the first time I worked on such a big "Out of Home" Multi-Touch digital experience. In the past I have worked with WPF, Surface and even Windows 7 Touch capabilities, but the Schematic Touch Wall was by far the most complex and complete Multi-Touch/Multi-User project in my years as a Software Architect. I'm not going to repeat all the stuff the media has already said about it, so if you want to know more details about the Cannes Festival Touch Wall, the usage and opinion of the public about it, just check what the media has to say about it. My colleague Marvin Varela was the .NET Platform Lead of the project and I worked with him building all the backend functionality that served the Flex/Flash Multi-Touch UI. Among my tasks, I was in charge of building the Touch Wall CMS for content administration, which I implemented using ASP.NET 3.5. I was also in charge of most of the backend architecture to serve the data (including the Data Access Layer implemented with LINQ, the Business Layer and the Communication Layer built with WCF to serve the Value Data Objects to the Flex/Flash UI). 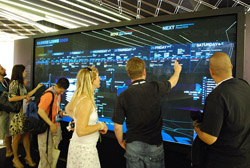 I was also responsible for building the WCF component in charge of synchronizing the Cannes Registration Delegate data with the Touch Wall database, so the Wall could actually display delegate information almost in real time for its users. Let me say that the Flex/Flash integration was smooth and I learned much from it. Working with talented Flex/Flash developers is great, having all the ActionScript capabilities for the Front-end and the .NET robust back-end services produced a wonderful product. 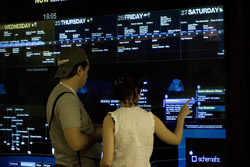 So, without talking much about it, go ahead and search the web for the Schematic Touch Wall, there's plenty information and success stories around, and I hope to keep working and learning from Out of Home Digital Experiences like this one. Maybe the next one will be build using WPF for the user interface, you never know ;)! Surfing the web, I visited the Sesame Street web site. A couple of years ago I worked with them on some prototypes for the new site. My job was to build an ActiveX control that could take over the user's browser in full screen mode to disable users from going out of the site. 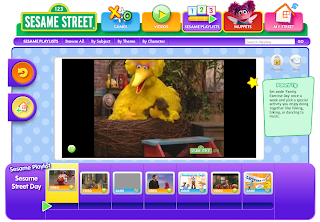 This control was the PlaySafe feature that is currently in place in the Sesame Street web site. The control gives parents the ability to fire up the Play Safe mode, so the kids can't get out of the site by the normal ways we know. The only way to get out is to hit a specific keyboard combination. Good memories from Sesame Street in fact, and good to see my control on their web site. In a previous post I talked about a change that the Twitter folks did last week on their cross domain policy. The change restricted all external domains, leaving the access to their Search API open only from their own domains. The cross domain restriction meant that RIAs where no longer able to access the Twitter Search API directly without a proxy server. Checking their cross domain policy file today, it seems that they changed back, since right now it appears to be allowing access from all external domains. Again, they made the change without letting people know. I don't know about you, but to me it seems that somebody made a mistake on their team, and they made the changes in low profile motion to avoid too many buzz about it or maybe they actually aknowledge the mistake and listened to people developing RIAs against their API and decided to keep allowing the direct access. Anyway, just in case the keep changing things without letting us know, I wanted to share a work around for their cross domain policy restriction. This work around will work for any other cross domain restriction issues that you might have hitting other site’s APIs. 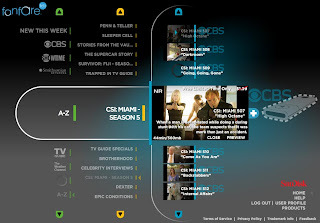 The application I'm working on is a Silverlight 3 application that is being hosted on an ASP.NET web project. 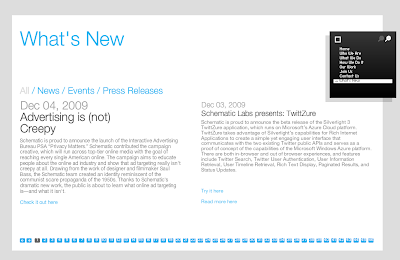 This "first phase" is just a simple Twitter Search client where users can enter a search term and retrieve twitter posts containing the term entered by the user. The app will include much more functionality, but for this post, that's pretty much the background you need to understand what I'm trying to accomplish. My first idea was to actually build a middle tier WCF service application that will take care of all the Twitter API communication and serve my Silverlight 3 app. This is still an approach I want to follow since is a lot more robust and can provide a lot more functionality, like data parsing, data storage, catching and a better fault control. It will also help me to make the Silverlight app smaller and thinner, which is always good for client side apps if you have a robust server than can handle the work load on the backend side. This is what you need to keep in mind, you need to have a server that can host your middle tier and handle the work load without issues, or your app is going to stop being responsive when having lots of users at the same time. However, talking again with my colleagues Steve Rettinger, he suggested implementing a call forward to an ASP page, just as a prove of concept to make sure the work around actually worked. Ok, so let’s get into some code details. First of all I'm using a subject/subscriber pattern to be able to broadcast and subscribe to global events from any component or user control inside my Silverlight application (I’ll will write a post about it and how to implement it soon). This implementation allows me to fire a global event from a nested user control and subscribe to that event in the main page code behind (actually the pattern implementation let’s me fire and handle global events anywhere I want), handling the event and doing the logic needed. That being said, when a user clicks on the "search" button of my app (which is inside a user control) after entering the search term, I fire a global event "SearchRequest" which I'm handling in my main page code behind (I’m subscribing to the “SearchRequest” global event in the main page code behind and assigning the handler of the event in the Loaded event handler of the main page). The handler will then catch the event and redirect the call to a private method that uses the WebClient class to do the request to the Twitter Search API method asynchronously. The work around is that instead of calling the Twitter Search API directly, I'll be forwarding the call to an ASP.NET (ASMX) page (by specifying HtmlPage.Document.DocumentUri), which will in turn call the Twitter Search API method and return the xml result to my Silverlight application. The urlTemplate variable has the relative URL of my ASP.NET page. The ASMX page in question (TwitterProxy.asmx) is part of the same ASP.NET web project that hosts my Silverlight application, so all I had to do was to create a new ASP.NET page and include the call forwarding logic in the code behind. You can actually ignore the ASP markup code, cause the forward call is being handled and the result returned directly without actually loading the page itself. Finally when the search call is forwarded and processed, and the resulting xml obtained, the response will be passed back to the Silverlight app, and the wc_OpenReadCompleted event handler will bi fired. I'll set the data context here, after cheking for errors or null values. This was an easy way to work around the Twitter Search cross domain policy restriction and be able to test the call and continue working, especially since there's another guy in the team working on the UI and animations in Blend, so I really needed to make the app work and be able to return real data results so he could keep working. Meanwhile I can continue my work on the most robust and scalable WCF Middle Tier. Hope this helps you a bit to overcome this kind of cross domain issues with Silverlight, and maybe help you understand a little bit more on how Silverlight and ASP.NET can communicate and offer you a few tips I learned from this myself. Thanks to my colleague Marvin Varela for the implementation help and tips. Finally, I found a very good Silverlight 3 Site that actually has good training videos and resources (thanks to my colleague Marvin Varela). Go ahead and check MSDev Portal site right now !!! 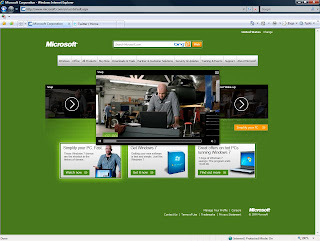 You will find training resources for top cutting edge Microsoft technologies, and if you are into Silverlight, check the Silverlight 3 Series page. I don't know about you, but since Silverlight 2 release I never found a good, consistent, and integral site for Silverlight training resources. 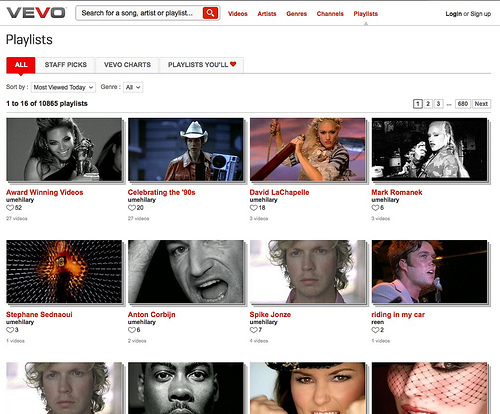 Let's face it, the Silverlight Official site has been struggling to put decent training content on the site. Most of the tutorials and videos are boring, not cool and not very useful in practice. Also it lacked a lot of the Designer+Animator+Developer workflow that makes Silverlight a great developing experience. Go ahead and check out the site, it will help you, no matter your experience level. It's always good to go back to basics. In the past few days I have been working on my Silverlight 3 skills, creating prove of concepts and playing with the new controls, techniques and of course, learning more about Expression Blend. 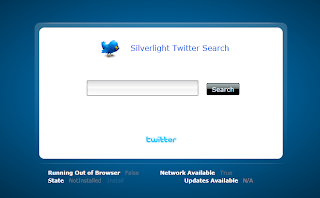 I have been putting together a Twitter Client built in Silverlight 3 app. 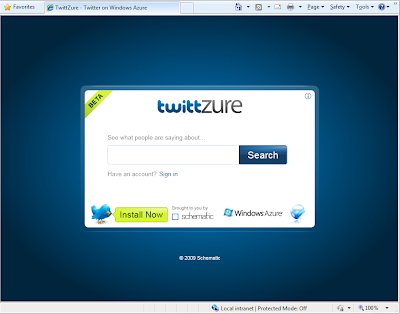 I was using the System.Net.WebClient class to call the twitter search API method in an asynchronous fashion. It had worked perfectly until yesterday when I started to get a security exception that prevented the app from accessing the Twitter Search API. I thought I was doing something wrong and I have been pulling my hair off trying to find a solution. I searched online for similar issues, all referring to cross domain issues. I thought that wasn't my case since the app behaved fine until yesterday. After talking about the issue with my colleague and friend Stephen Rettinger, he pointed out that actually, the problem was the cross domain policy file in the Twitter servers. After taking a closer look he realized Twitter is blocking all external domains and pretty much only allowing access from their own domains. Steve found a couple of discussions about the topic (here and here) and confirmed that Twitter folks restricted in fact all external domains. Why? Supposedly they made the change because they want to enhance their security. The result? RIAs built in Flash/Flex/Silverlight are no longer able to access their API directly without using a proxy app. They can have their reasons, but they made the change without telling anybody. Without notifying users or developers the result is that there are a lot of people complaining about it and they have a reason for it. In my opinion their change was crappy and the lack of notifications and acknowledgement on their site is far from desirable. If you put effort and time building applications against a service, is not right to change the rules without letting people know. I guess many people will stop working with their services. I hope this helps people having the same issue to acknowledge the cause without losing time wondering what they are doing wrong, since it is because Twitter folks made the change on their cross domain policy.